Our practice focuses on business immigration, primarily for startups as well as small and medium sized business in the technology & financial sectors. We also have a significant family-based immigration practice. Mr. Reich founded the Law Offices of Stuart J. Reich in 2003, and has been practicing immigration law since 1995. 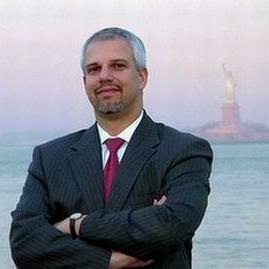 He is currently Co-Chair of the New York County Law Association's Immigration Committee and Co-Chair of the Media and Advocacy Committee of the American Immigration Lawyers' Association New York Chapter. He has been named a “New York Super Lawyer,” and has a 10.0 Avvo rating. He speaks on immigration topics often… read more for AILA, NYCLA and LawLine. Stuart Reich does not have any reviews yet. Advise potential clients of immigration options and preferred course of action. Perform all primary client intake. Set forth recommended course of action and strategy for cases to be handled and agree on final plan in consultation with clients. Served as primary associate on a 15-person team handling U.S. immigration work for a Fortune 500 global technology firm involved in research, development, manufacturing, software development (application & O/S) and consulting. Handled all phases of nonimmigrant/immigrant processing for various corporate clients in the information technology, wholesaling and food service fields with an emphasis on intracompany transferee and labor certification work. Handled all phases of nonimmigrant/immigrant processing for individual clients in various fields, with emphasis on labor certification for engineering professionals and waivers of the 212(e) foreign residence requirement for physicians.